In this post, a collection of items related to my journey, I begin by marking a sad ending. Last week, as my son and I sat outside absorbing some long overdue sunshine on a quiet summer afternoon, we noticed something under one of the deck chairs — a small, still, feathered body lying limp in the shade of the chair. Without needing to look closely, we knew instantly what it was. The hummingbird must have collided with a plexiglass panel on the deck. 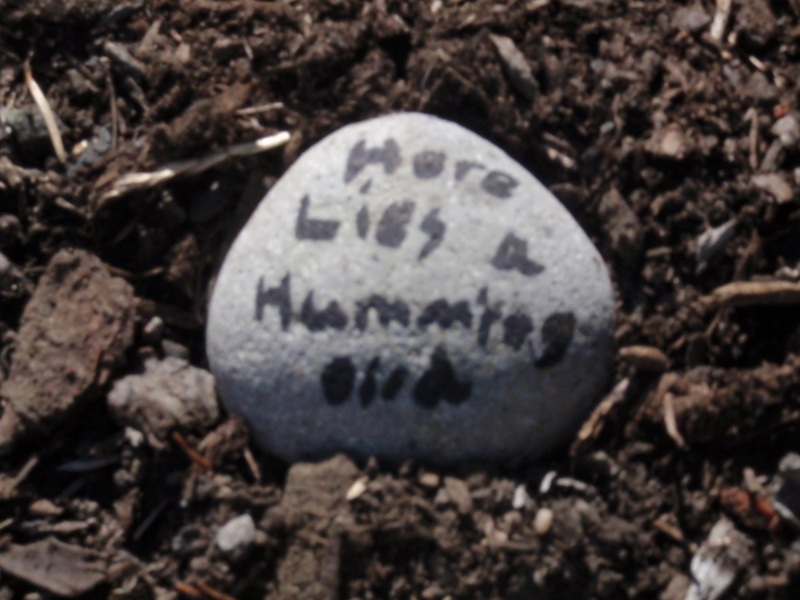 With great sadness, we placed the tender bird in the grave my son dug near some flowers in the yard, and he suitably marked the spot with a declaration of truth. Here, indeed, lies a hummingbird, one of the companions of my year’s experience. At the ending of this post, I’d like to mark a couple of beginnings. First is a nod to Western Washington Oncology, the center where I have undergone treatment. The staff and physicians at this center are the ones who saw me through chemotherapy and radiation and connected me with all those supportive ancillary services — massage and Reiki, acupuncture, naturopathy, yoga for survivors, and a counsellor , all under one roof, — which have made the burden of treatment easier to bear. As of next month, patients who are newly diagnosed with cancer can have an initial meeting with their entire medical team and support staff, which includes a patient navigator to shepherd them through the overwhelming and complex maze of cancer treatment. My conversations with friends from other parts of the country indicate that such an approach is not common. So here’s to a new way of helping patients at perhaps their greatest moment of need. 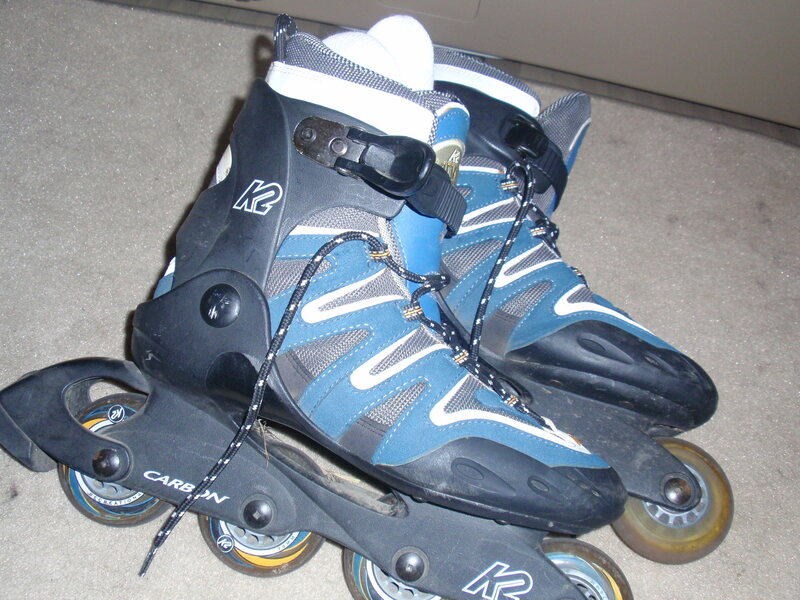 And finally, with the return of summer and my strength, I have begun again to don my rollerblades. Here’s to many days of zipping ‘round parking lots in the sun.